With a Tivo app for Android tablets and phones, you can stream live and recorded Tivo shows to your Android device. However, the Tivo to Android streaming work is quite restricted, which means you can only watch Tivo videos at home or at some certain places. For those who are on the move a lot, the best solution to enjoy Tivo videos is transferring Tivo shows and recordings to an Android tablet or phone which is mobile and easy to carry. Before transferring Tivo videos to PC, please make sure that both your PC and Tivo box are connected to the same network. Step 1. 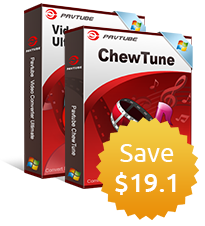 Run Tivo Desktop for PC on your computer. Step 2. On “Tivo Desktop” screen, click “Pick Recordings to Transfer” and a window showing your TiVo box's "Now Playing" or "My Shows" list appears. Step 3. Check the box next to the title of the Tivo show you want to transfer to PC. Step 4. Then click “Start Transfer.” And the transfer time depends on the duration of the Tivo show. Even though you get the Tivo shows onto your computer, you cannot play them easily with video players or stream to other devices for the transferred Tivo shows are in Tivo format which is a protected MPEG-2 format. And neither Android tablets nor phones play Tivo videos. Any Tivo to Android converter out there can rip Tivo shows to Android playable formats (e.g. MP4)? 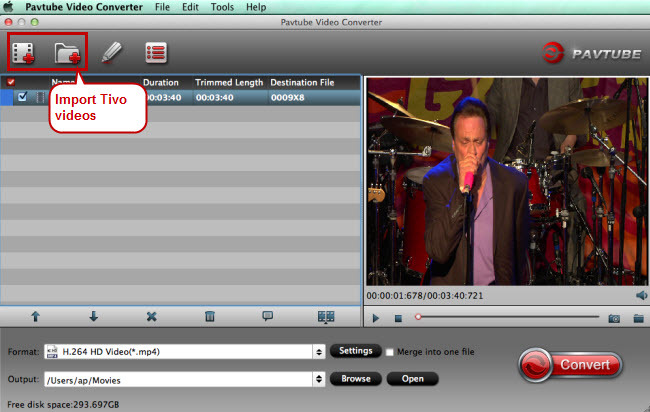 Pavtube Video Converter for Mac is just what you’ll need to convert Tivo shows to MP4 - Android highly friendly format. Does the Tivo to Android conversion affect quality? Don’t worry! You’ll get relatively smaller Tivo videos but the video quality is still there. How to convert Tivo to Android playable videos? Launch Tivo to Android converter for Mac and click “Options” button and the “Options” window will appear. Enter Media Access Key under “Tivo” option. Click the marked buttons to import Tivo videos to this Tivo to Android ripper. Click the format bar and the output format list will show. 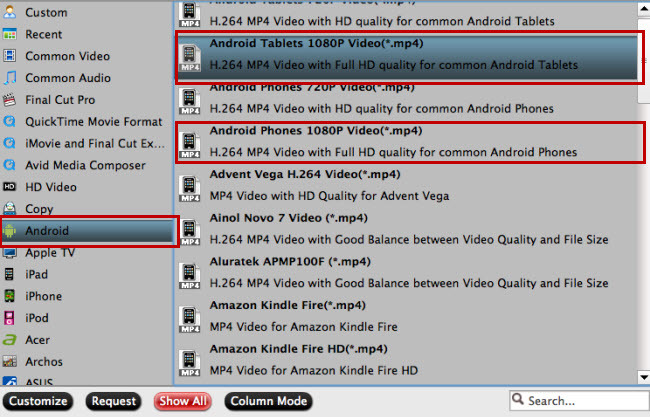 Find “Android” and choose the proper output formats for your Android tablet or phone. On bottom right screen, click on the red button “Convert” to make conversion from Tivo videos to Android devices happen. How to move the converted Tivo video files to your Android tablet or phone? Try these transfer ways.